We don't have to tell you what you already know. Walk on scales are predominately located in the reception area for many reasons. Weight management and proper medication dosing are the two primary reasons. 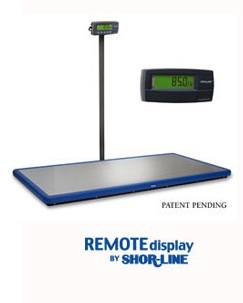 While many scale displays are out of view of the receptionist, Shor-Line’s new Shor-Connect and Remote Display allow the proper weight recording without the front desk personnel having to leave their station. Now that makes sense! We are excited to announce Shor-Line has expanded the functionality of the canine scale beyond what the animal health industry knows it to be. 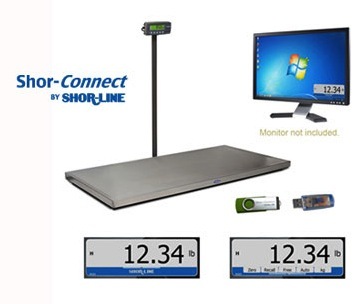 With the introduction of Shor-Connect and Remote Display, weight is now visible on a PC or on a display mounted or propped in a location away from the scale platform. No tethering needed! Utilizing wireless technology Shor-Line’s K9-W8 and Blue-Line canine scales can be operated from a PC or select Windows tablets with the Shor-Connect models. The Remote Display models feature a second display that allows remote visibility of the canine’s weight. These new products have been field tested and designed with your daily tasks first and foremost. A new way to shop for scales. Shor-Line’s philosophy of canine scales starts with the functionality of how a scale is used by our customers. If you want to see and operate a scale on a PC or select Windows tablets then you will be eager to try the Shor-Connect option. If you wish to see the display at the scale and in a remote location (maybe across the room) the Remote Display is the option for you! And if you simply want a scale that is accurate and reliable our Display with Operation Keys will suite you. The new Scale Builder tool on our website makes it a breeze to choose the features needed to build a scale to fit your practice, bringing this philosophy right to your fingertips. 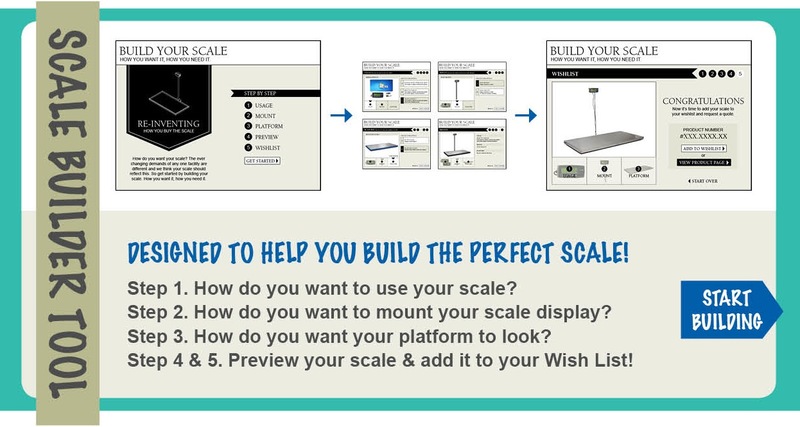 The Scale Builder leads you through the process of building your scale. Starting with the functionality. How do you want to use your scale? You can choose from three options: Display with Operation Keys, Remote Display or Shor-Connect. From there you choose your mount (wall or post) then the platform (K9-W8 or Blue-Line). At the end of the tool you are provided a part number that is generated based on your selections. You may add that product to your Wish List from the tool or learn more about your selection by viewing the product’s page. Once a product is added to your Wish List it only takes a few more steps to request a quote. Start building!